The tropical island destination of Hawaii is more often than not associated with opulence and luxury. The word Hawaii, alone, makes most people drool about the dreamy place, and to explain to them that it can be visited a number of times will always produce a reply filled with envy and thoughts that either you are a billionaire or totally insane. The stark truth is that just about anyone can undertake a trip to this piece of paradise by simply changing the perception of the way to travel. Simply by downsizing your travel dreams a little bit, these handy tips given below will make your trip to Hawaii not only memorable but cheap as well. Start planning for your trip well in advance. Search the Internet for the best deals on flight tickets and by booking your Hawaii Beachfront Homes two to three months beforehand, you are sure to get a good price. Do sufficient research on the day you plan to leave, as the difference in price for a weekday ticket to a weekend ticket could be as high as 200$ or even more. There are direct flights to Hawaii that are extremely expensive, so make sure to opt for some layovers. To avoid extra baggage fees, book your suitcase in advance. Lastly, never attempt to have a Christmas vacation in Hawaii, unless you have plenty of money to splurge. Everything, from airfare onwards, is double the cost during the months of December and January, so fly to Hawaii in the offseason, preferably February. The locals enjoy the attractions of the island-like everybody else, but they do not shell out exorbitant amounts to do so. Most of the activities in Hawaii like, whale watching, parasailing or others come with a hefty price tag of a minimum 150$. Instead of wasting money on these, experience the beaches like the residents do. Go for a beach picnic, and if your luck is in, you can easily see whales and dolphins without using the services of an expensive tour agency. If you intend to cook for yourself and save additional money, buy the produce from the local market for freshness and price. In case you want to eat out, there are plenty of affordable and good local eateries on Big Island like Da Poke Shack and Big Island Grill, to name a few. That in no way implies that one should not splurge on oneself sometimes. If you are a foodie, spend money on a good meal at least once a week. There is no person on earth who would not wish to spend a night in any of the fancy hotels in Hawaii, providing they have the dollars to burn. At a minimum starting price of over 1000$ per night, one would only stay there if they could afford it.Having said that, there are umpteen options to stay which cost much less, say around 300$ in a reasonable hotel. The best bet for the frugal visitor is to look for local establishments which provide bed and breakfast. These B&B options can come as low as 50$ per night, thereby allowing the traveler to spend more days in any one place if needed. Most state parks even allow you to pitch your own tent for a minimal fee which could be as low as 18$ per night. Another worthy choice is to stay at a local farm and work there to trade for your stay. There are some good places like Wwoof Hawaii or GoAbroad.com volunteer opportunities to do research on. Most of the leading attractions in Hawaii are surprisingly located way off the main tourist zones of Honolulu and Waikiki. The main form of local transport on the island is The Bus, which offers rides as low as 2.5$ or take the Circle Island Tour. This tour permits the traveler to hop on and off during the four and a half trip. Another better, but slightly more expensive way is to rent a SUV for the duration of the trip, in order to explore the island at your own pace. Lanikai Beach in spite of being considered the number one beach in Hawaii is often overlooked by most tourists and is a perfect place to drive down to, without worrying about crowds. 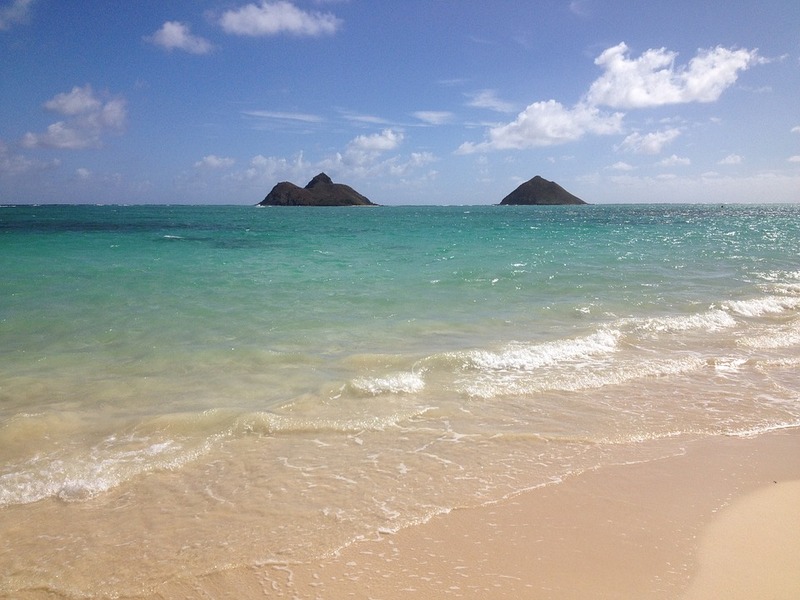 Drive up the windward coast on the Kalanianaole highway to Koko Head. This is a dormant but extremely impressive volcano, which affords spectacular views of the bluest ocean on Hawaii. This is the most important part of any holiday and also one which requires a reasonable budget. Stores like Daiei and Time Markets, slash the prices on ready-made foods around late afternoon after the morning crowds have gone. This inexpensive plate lunch is the perfect way to take the sights of a nearby beach and get some romantic sunset pictures as well. Other supermarkets on the island also sell perfectly prepared foods and sell them at a greatly reduced cost. If you are planning for a fancy meal and save money too, there are restaurants which offer ‘early bird’ and late night specials. Some upscale restaurants like Sushi King and Chris Steakhouse are the local favourites. Remember to ask for discounts applicable to children. Keiki menus are readily available in most dining outlets in Hawaii, where children can enjoy a meal at a fraction of the usual adult cost. I hope that this guide has helped you to reduce the stress of planning your trip to Hawaii. Remember, traveling is best enjoyed when you have your itinerary planned ahead of time. Best of luck with your travel! CLOSED | CLICK and GROW Smart Garden 3 Giveaway! Are You Ready To Own A Cat? Do Bonuses Make People Work Harder?